War ends up being so pivotal in so many developments in history and, yet, the more I read about the most crucial wars in our country’s history, the more I am amazed by how much of the outcome was due to incompetence, bad decisions, or just plain luck. David McCullough’s 1776 describes the events of that decisive year in the outcome of the Revolutionary War. Starting with the Siege of Boston, which began in 1775, McCullough takes us through the events that lead to the British abandoning Boston and eventually taking New York. The year ends with two stunning American victories at Trenton and Princeton, victories that occurred at such a low point in morale in the army that, had they not happened, the war may have gone a completely different way. McCullough is a master at describing the events on the ground. Drawing from a huge number of primary sources, especially letters and diaries, he shows us the conditions the average soldier dealt with, including marching in freezing weather with rags covering their feet and hauling cannon through mud and across rivers. You get a sense for how difficult it was, especially considering that moving the army occurred entirely by foot — there were no transports of course. In particular, we get great insight into the thinking of the important players, such as Washington, Greene, and Knox, as well as some of the British commanders. It is amazing that Washington, leading the entire army to determine the future independence of the United States, was only 43 years old in 1775. I myself, as I write this, am 38. Jefferson was only 32 and John Hancock, president of the Second Continental Congress, was 38 himself. Amazing to think how young these leaders were! 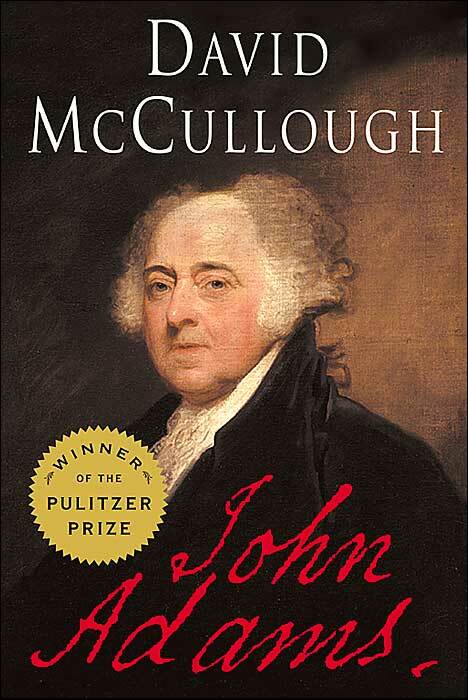 Washington is the particular focus, as McCullough tries to uncover the thinking of this most central man. As the Americans lost battle after battle in New York, due in no small part to the indecisiveness of Washington, and as soldiers left the army as their enlistments ended, Washington begins to fret for the outcome of the war and his reputation as a general. Even so, he perseveres, keeping up appearances for his soldiers and pushing them to perform. While Washington may not have been the most brilliant tactical mind of his day, his determination to succeed definitely was the key reason the Revolution itself eventually succeeded. It is even more astonishing, though, to consider how the weather, how decisions by the British to not pursue the fleeing American army, made such huge outcomes. More than once, storms masked the movement of the Americans, in a way that had the weather been good, the Americans may not have been able to execute their plans. The British, on more than one occasion, also stopped in what could have been a complete rout of the Americans, a defeat that would almost assuredly have ended the war with a British victory. I find it truly astonishing how the outcome of such important events depends on these little details. 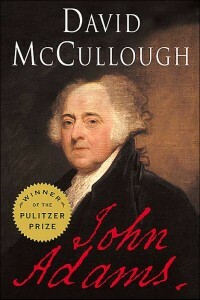 I’ve read one other history of the Revolutionary War, The Glorious Cause by Robert Middlekauff. Middlekauff covers the entire war, including the build up to the war and the aftermath, ending with the writing of the Constitution. While I remember the book being very good, it’s been a while since I read it, and with my memory like a sieve, I remember very few details, unfortunately. 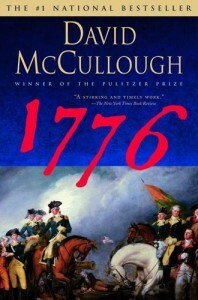 1776 is a nice, high level overview of the events on the ground. It is written in a very casual style, with copious footnotes, but those are all relegated to the back (even the numbers are omitted in the text, something which I actually regret). The reading is fast and easy, but also very vibrant, giving a great sense of the spirit of the times. I greatly enjoyed this book.